White and gold, or blue and black? If there’s one thing the infamous dress thought us, just a couple of months ago, it’s that our brains can be easily persuaded to believe they see the impossible. While magic routines are nowadays easily explainable, the mind trickery that can be achieved via optical illusions is at times extraordinaire. 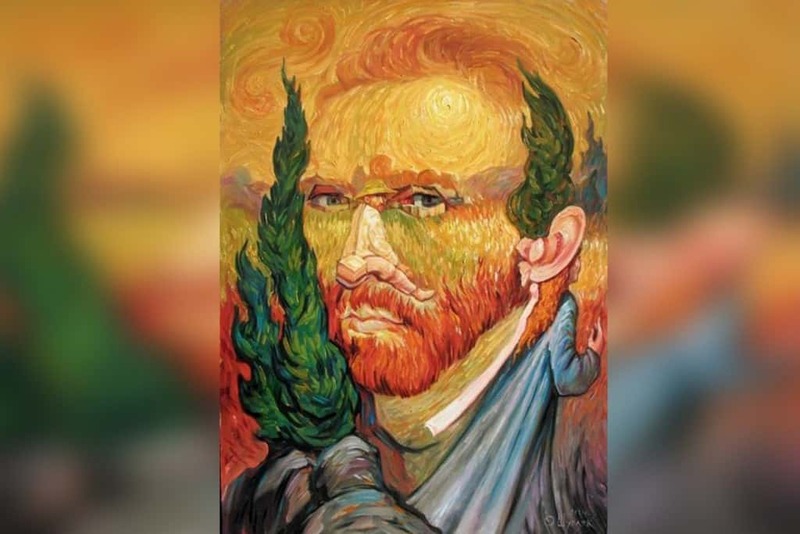 Making your eyes the magician, these 20 art pieces prove that the only thing certain in our existence is only the way we perceive the world. 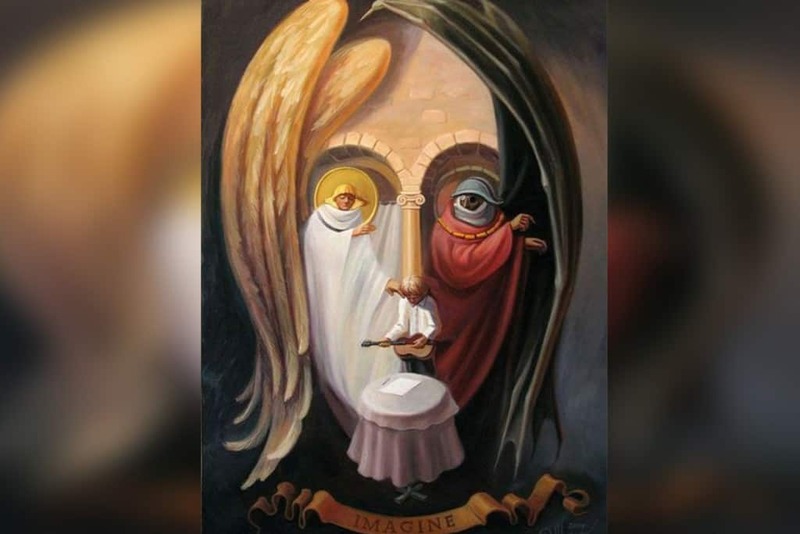 From a distance, the work of Oleg Shuplyak looks like a classical portrait of John Lennon. Look closer and you will be amazed to see that there is hidden imagery within the portrait, resulting in an astonishing optical illusion. Praised for his real world optical illusion talents, Felice Varini is one of those artists that can make you question your entire reality. 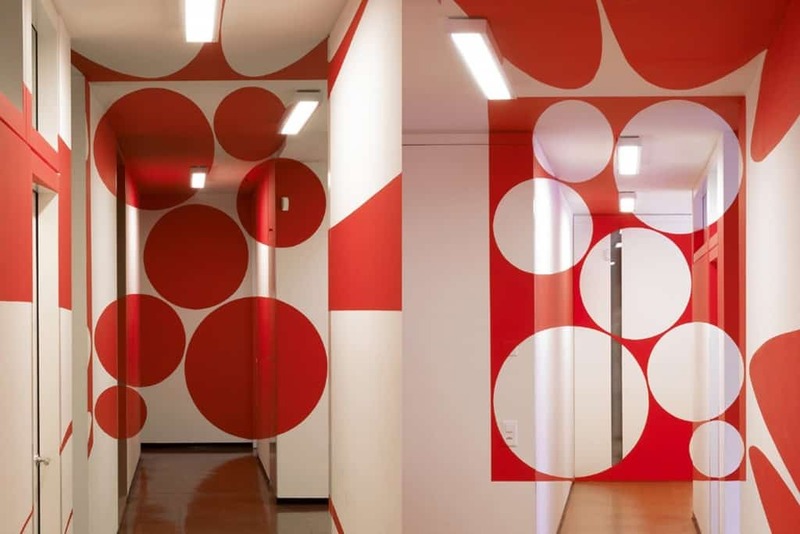 Although the above may seem as a photo manipulation, the effect is created by paintings on the walls throughout the corridor and the rooms. Looking at them from a certain geometric perspective, results in this mind-bending optical illusion. 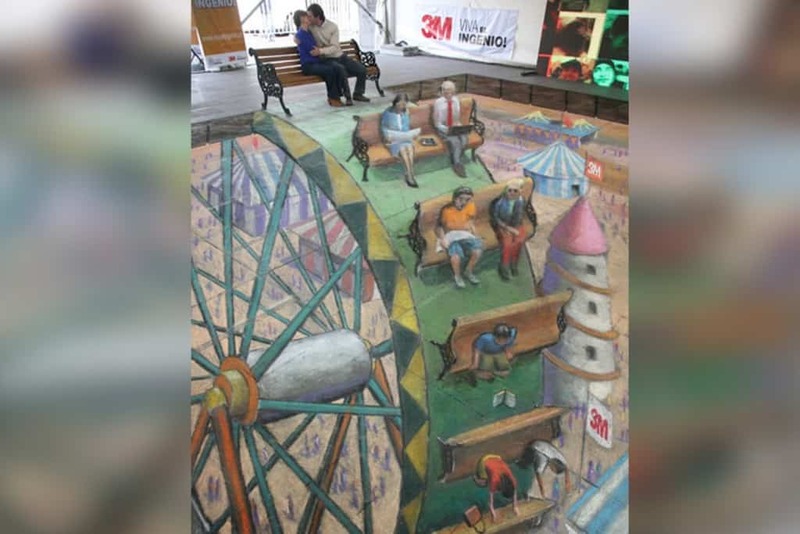 Who’s to say optical illusions can’t be created with chalk? Created by Julian Beever this chalk painting gives us a new perspective of the world we live in. 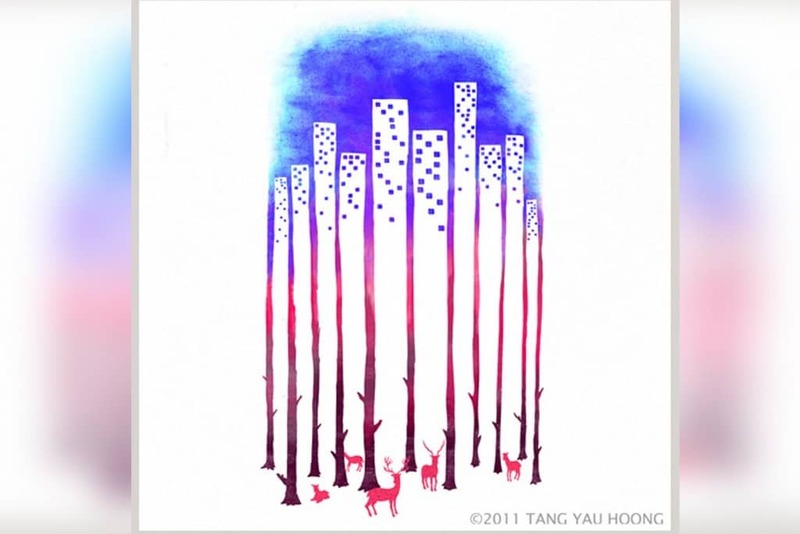 Part of The Art of Negative Space, this illustration by Tang Yau Hoong is one of his best optical illusions morphing a city landscape into a forest night, resulting in an eerie delight. 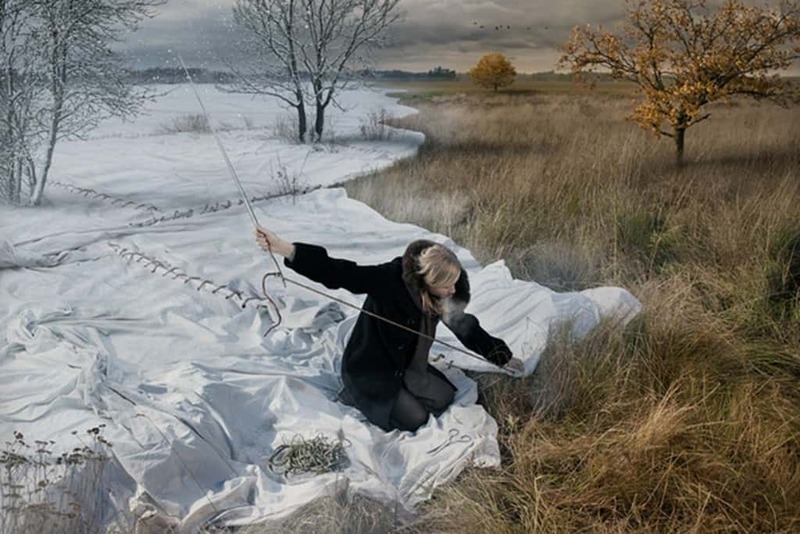 As noted in our 20 Surreal Photos That Shatter Reality list, Erik Johansson is a true master in his art – creating amazing optical illusions with the help of digital manipulation. 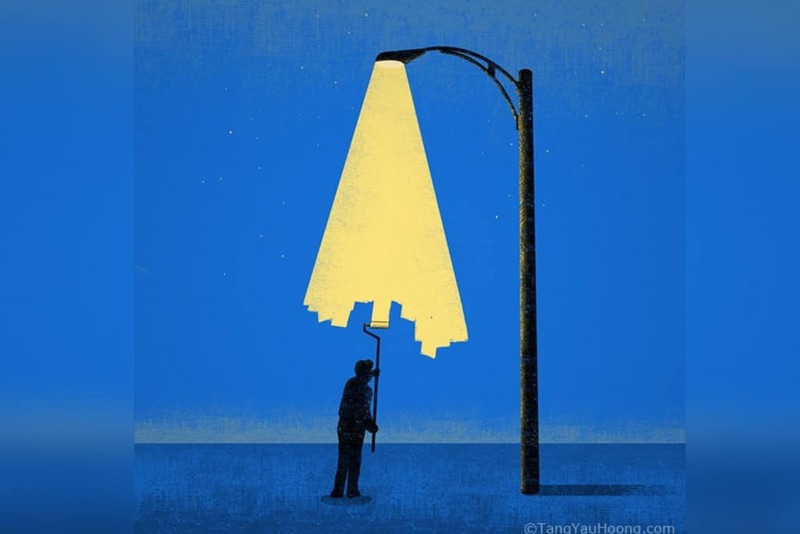 Another curious optical illusion part of Tang Yau Hoong’s The Art of Negative Space, Light Paitner is quite unique, combing the calmness of a night light with the experience of a painter, leaving you with the question – Who paints our universe? 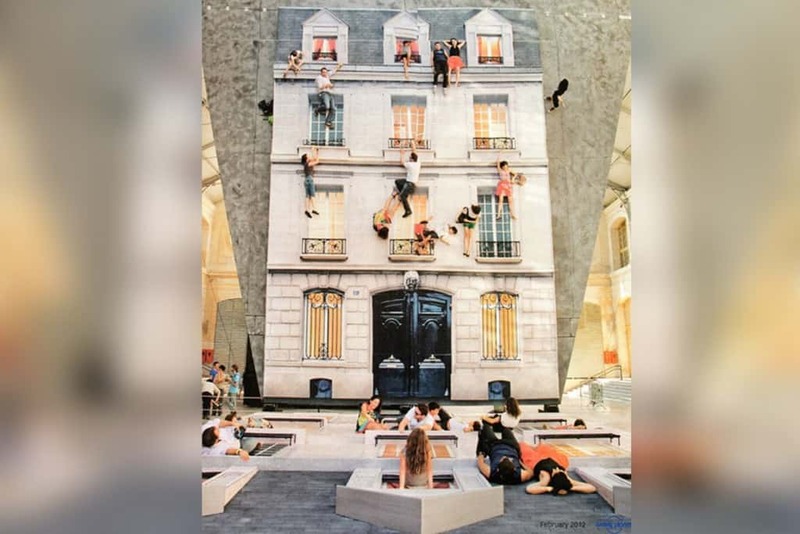 Consisting of the facade of a mock-up building, leaving you with the feeling that the world is normal, yet upside-down, this large-scale installation by Leandro Erlich is nothing by pure creativity wrapped in an optical illusion package. Cleverly arranging the objects and figures in his paintings, Oleg Shuplyak manages to deliver amazing optical illusions. Responsible for the portrait of John Lennon, you saw earlier, Shuplyak also delivers this Vincent Van Gogh portrait, which is just as mind-bending. If you haven’t seen at least one of the 3D drawings from Ramon Bruin, you probably haven’t visited social media in a while. 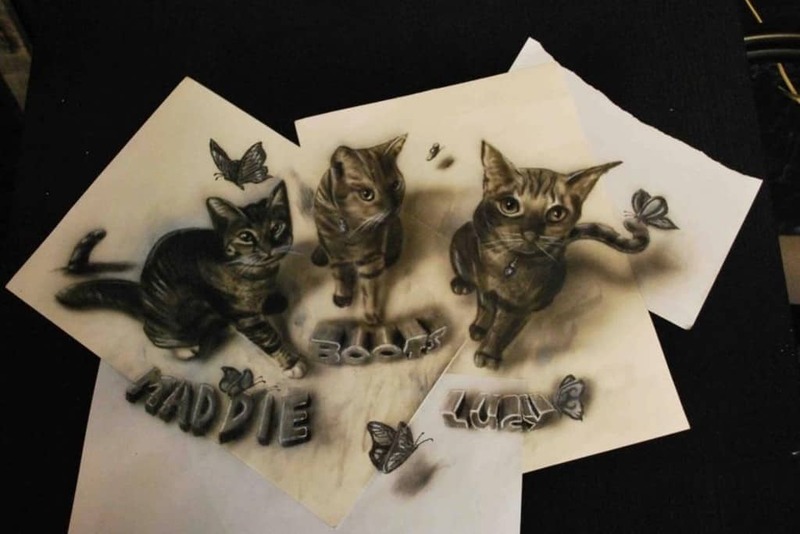 Infamous for his unique perspective, Bruin manages to bring to life his 2D drawings, transforming them into the illusion they are three-dimensional. Another artists who we’ve already featured in our 20 Surreal Photos That Shatter Reality list, Thomas Barbey is just as incredible in his surreal optical illusion imagery as Erik Johansson. The only difference is that Barbey does his illusions by shooting in 35mm and using an enlarger and a darkroom to create his photos, proving that sometimes manual manipulation can achieve the same effect digital manipulation does. 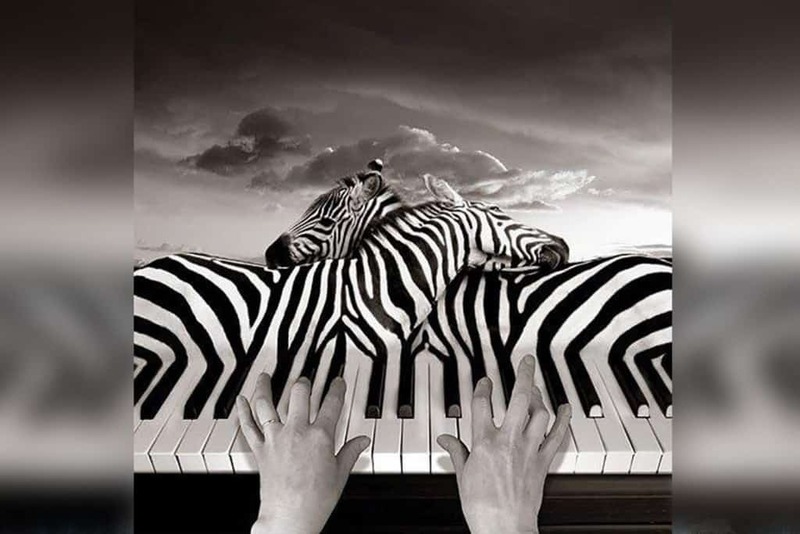 Some artists just love to create mind-bending optical illusions. 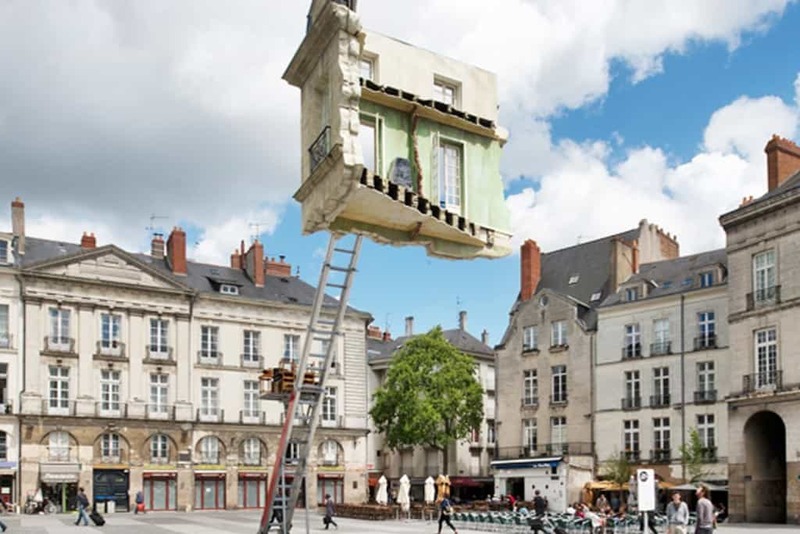 Being one of them, Leandro Erlich brings us this obscure installation with the help of a crazy perspective, a giant mirror and a model of the front of a house, laid out horizontally on the ground. 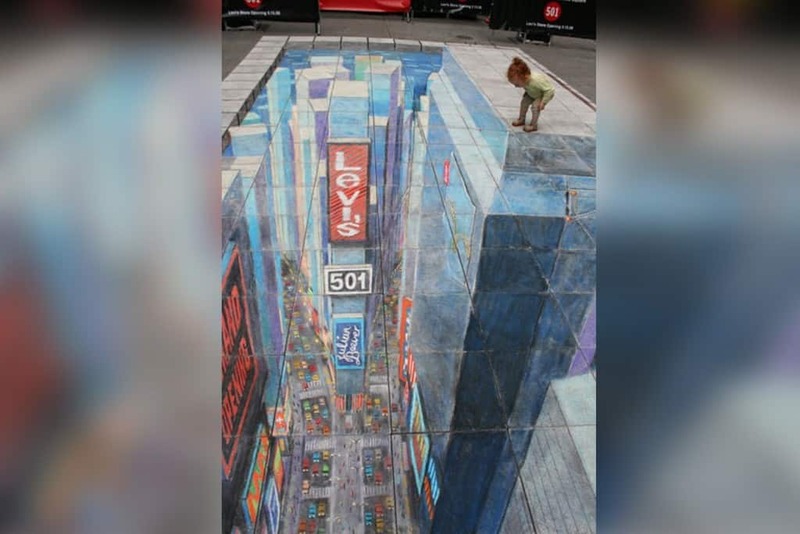 Proving once again that chalk isn’t just for children, this 3D pavement drawing by Julian Beever gives us Time Square as seen from above, on the ground of the real Time Square. 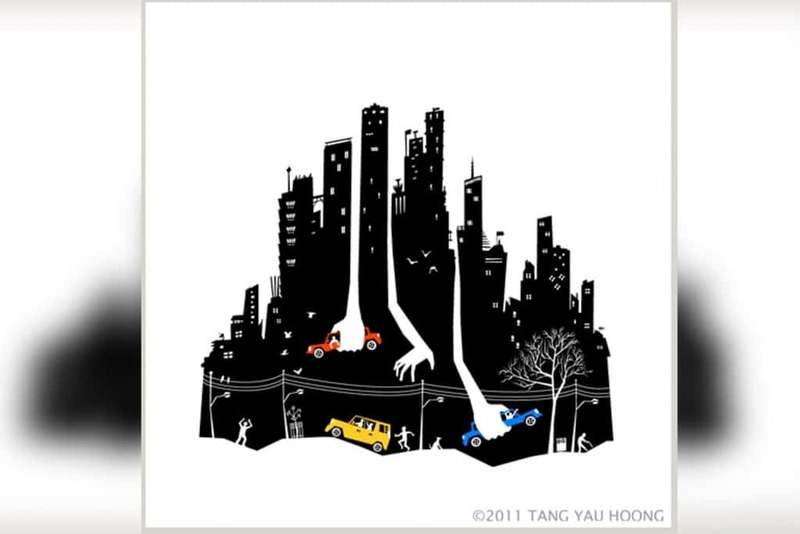 Tang Yau Hoong probably deserves a list of his own, thus it’s not surprising that we see yet another piece from his The Art of Negative Space Collection. Quite opposite to Coexistence, Beware of Those Hands focuses on the ghostly nature of the city night. 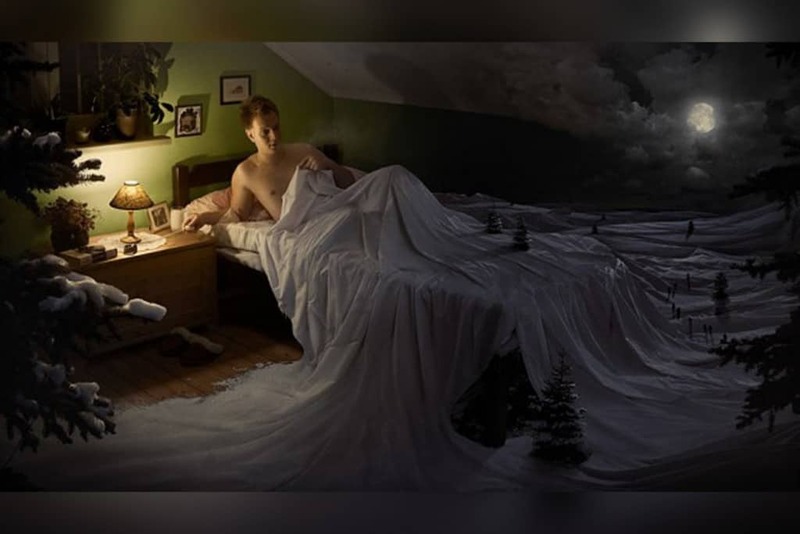 Another mind-bending optical illusion by Erik Johansson, this one combines the coldness of a winter night with the warmth of the night under the bed covers, resulting in a rather spooky experience, as expressed by the man in the manipulated photo. 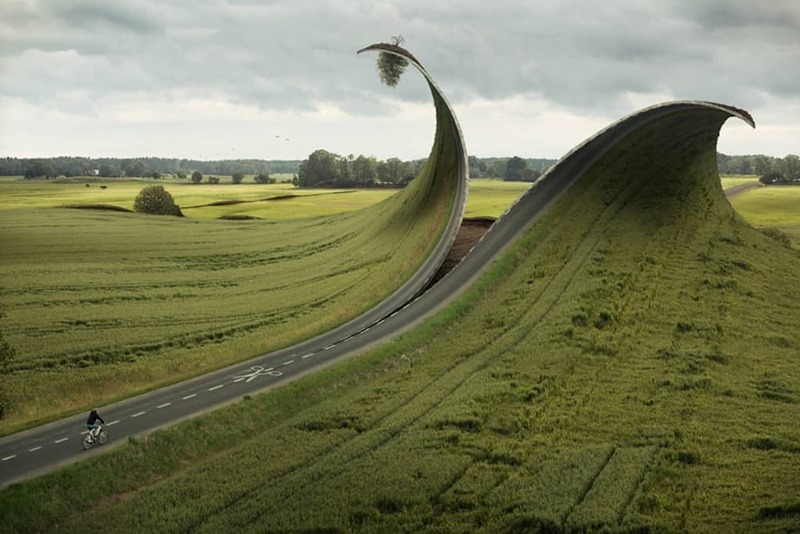 Not concerned by capturing a single moment, but rather trying to express his ideas through photo manipulation, Erik Johansson brings us yet another optical illusion, which is simply beautiful in its mind-bending regard. Inspired by the work of Salvador Dali and Rene Magriette, this stunning optical illusion painting tells two stories without the use of any boundaries. 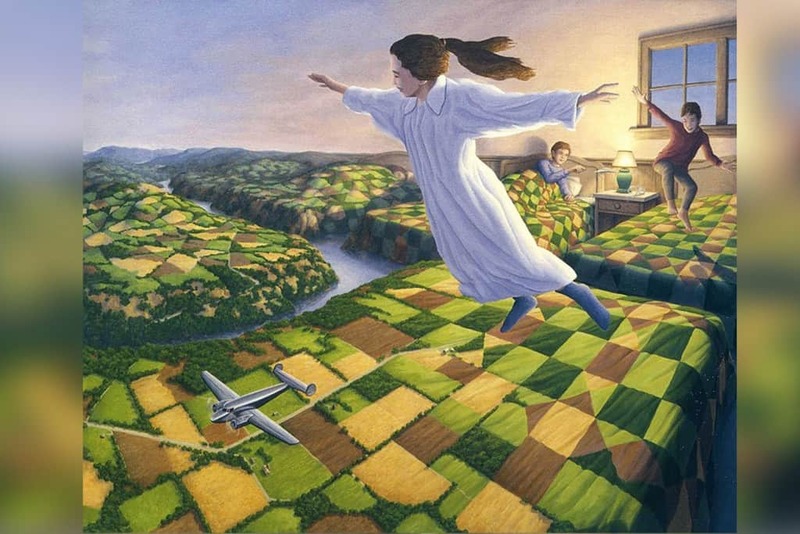 With his seamless transition and style, Rob Gonsalves manages to achieve a perfect optical illusion. 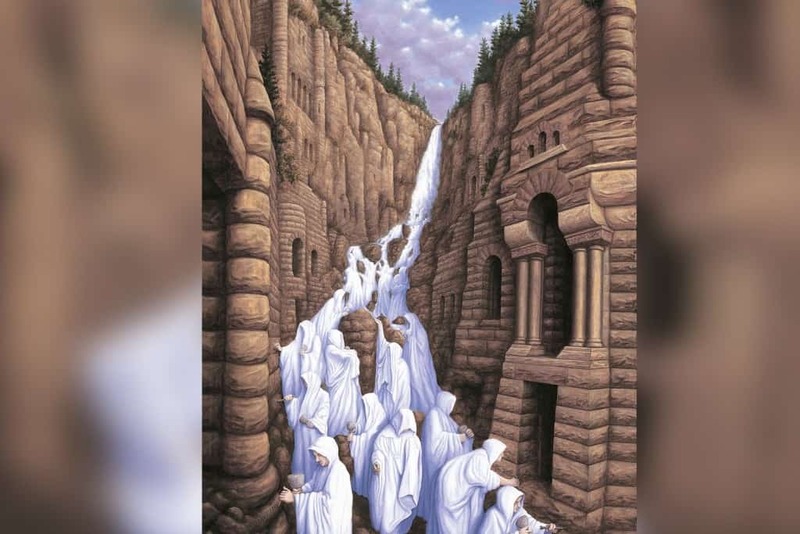 This incredible painting by Canadian artist Rob Gonsalves manages to achieve the impossible – seamlessly blending the real world with the imagination of children playing, telling multiple stories in one perfect optical illusion experience. As aforementioned, the work of Ramon Bruin is quite popular and shared daily throughout social media. 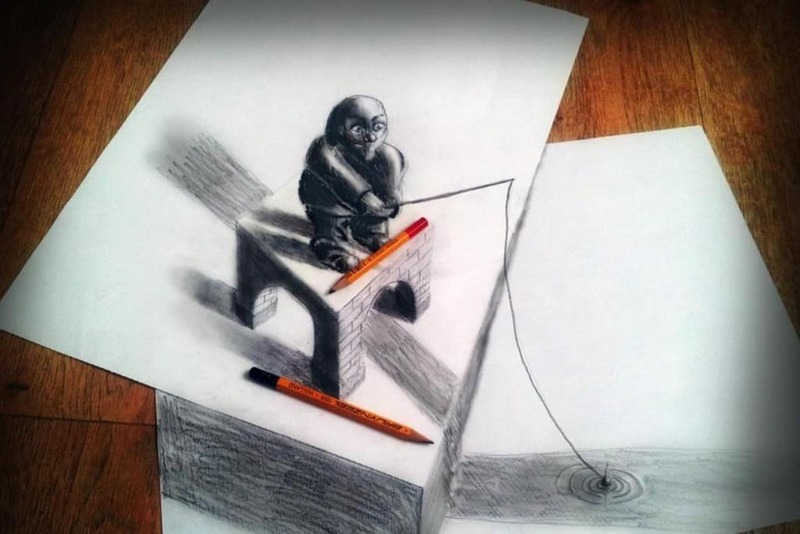 Making it seem like you are looking at a three dimensional art installation, rather than two sheets of paper, this amazing drawing definitely makes you look twice. 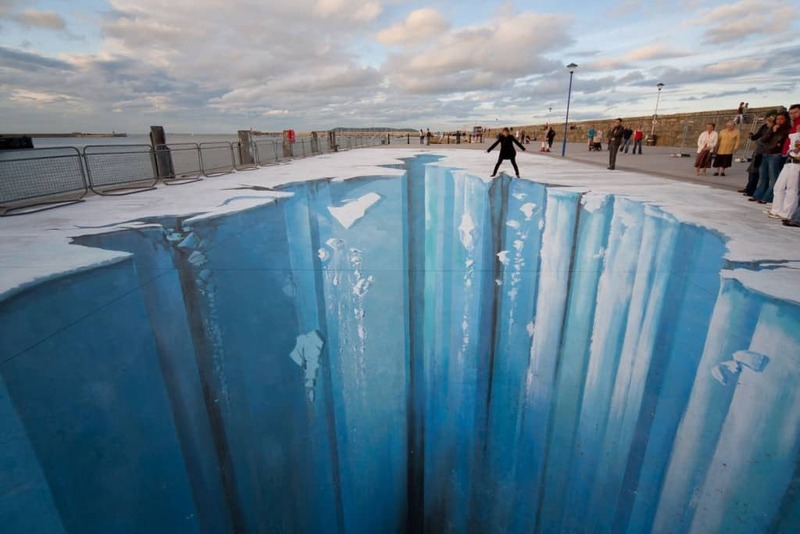 Made for the Festival of World Cultures, this astonishing three dimensional street art piece by Edgar Muller proves makes you feel afraid of heights, even though what you are looking at is a solid road. It’s bewildering how perfect of a surrealistic photo can be achieved with the use of a simple 35mm camera and a darkroom. 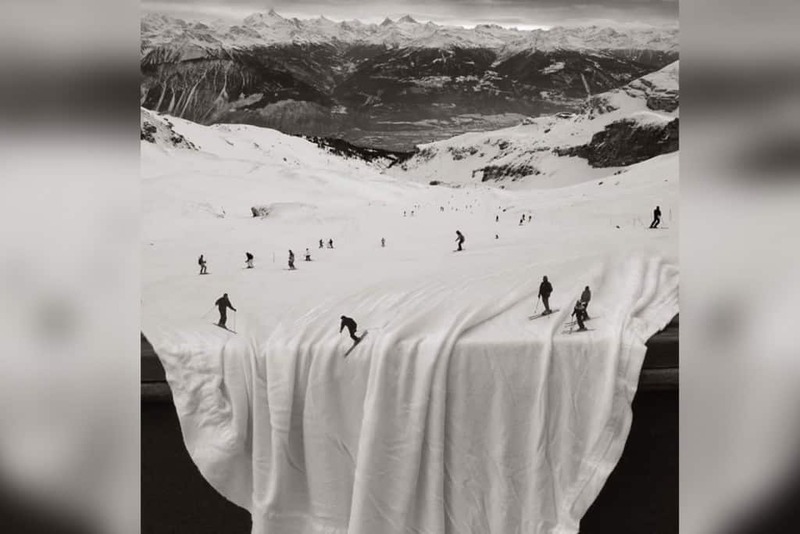 As mentioned above in this list, Thomas Barbey likes his work to be done the old-fashioned way. However, that doesn’t stop him from delivering amazing optical illusions! For new creative, surprising and mind-blowing lists, make sure to visit LOLWOT every day!